Although before it was opened it was known as the University of the Air and although it has been responsible for thousands of television programmes, in its support for learning the OU has always thought well outside ‘the box’. This is not to associate it with Britain’s most despised business term in 2008 (see the report of a YouGov poll Daily Telegraph 28 November 2008) but to recognise that the OU has been facilitating networks of learners far beyond the campus and indeed beyond the airwaves for decades. My father had never really understood why I’d not gone out to work at 15 and could not see much point in university, but once he saw me on television he was prone to say, ‘our lad has done OK for himself. No UK university has a single iconic image. Oxbridge has gowns, punts and bicycles but that amalgam hides within it two universities. Other universities have famous buildings (the chateau at Royal Holloway, the Joseph Chamberlain Memorial Clock Tower at Birmingham, Senate House in London) but only if you have already seen them. ‘Slippers’ might have associations for Walton Hall-based OU old timers, but not for many others. Those artefacts do not shout the name of the associated institutions in the way that Educating Rita might be seen to articulate ‘Open University’. Is Julie Walters (the actress who portrayed Rita in the 1983 film and on the stage) an image of the OU? She has certainly been used that way in that she helped to make the case for the OU in the face of budget cuts in the 1980s. However, she has gone to play many other parts and her image is also associated that of Molly Weasley (in the Harry Potter films) and Mrs. Overall (in Victoria Woods’ pastiche sitcom Acorn Antiques). Despite the thousands of students and the groundbreaking research associated with the OU is the OU’s understanding of its own past and of where it can go next trapped in a definition focused on the tele? 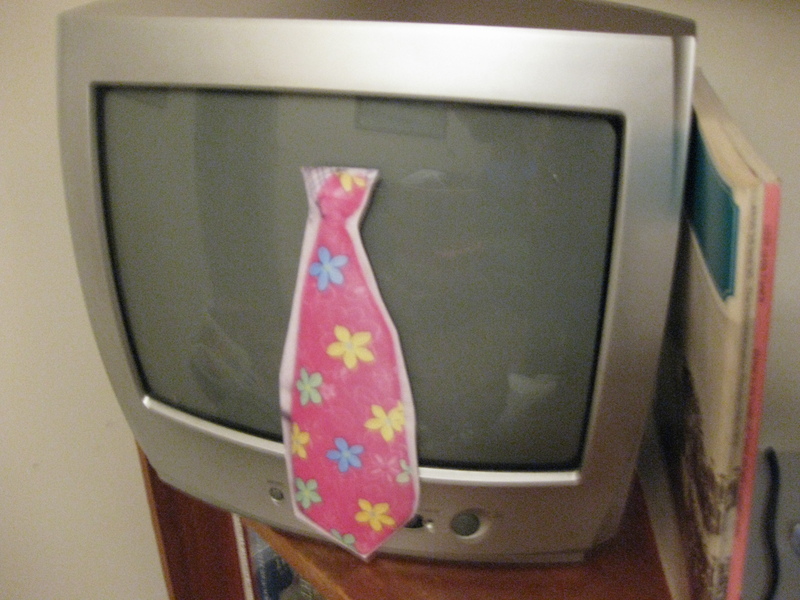 To be linked to the television might be better than to be associated with the kipper ties that bind us to the other image of the OU, that neck attire that symbolically divides the head from the body and is associated with conformity (does it represent the yoke?) and masculinity. 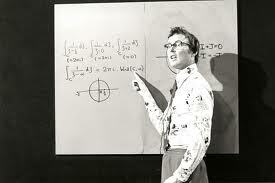 This picture of Robin Wilson, the former Head of the Mathematics at the Open University, Fellow of Mathematics at Keble College, Oxford, and Gresham Professor of Geometry, London is not typical of the OU material which was transmitted, but it has been so frequently employed that it has become the basis for mimicry. In the Open University blooper reel- A Bit of Fry and Laurie- BBC Comedy sketch Hugh Laurie plays a Mathematics don who is addressed as ‘Robin’. We know the OU through caricature. 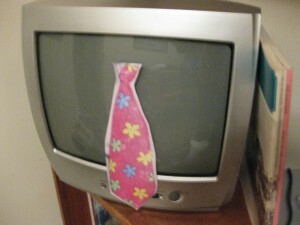 While some feel that the image of the kipper tie as a metanym for the OU should get knotted, others like to recycle. Perhaps now that fashion designer Vivienne Westwood has featured a kipper tie in one of her collections, that is now that the kipper can be said to be ‘smokin’, so too can the notion that the OU has spent decades ‘thinking outside the box’ be reclaimed. However, if there is an image of the OU which says more than can be portrayed by a picture of the tele (a medium which never dominated course materials) with a tie, then let us know. Please share your better, or stronger, images of the OU. PS the course materials next to the tele are from A100 and U221. 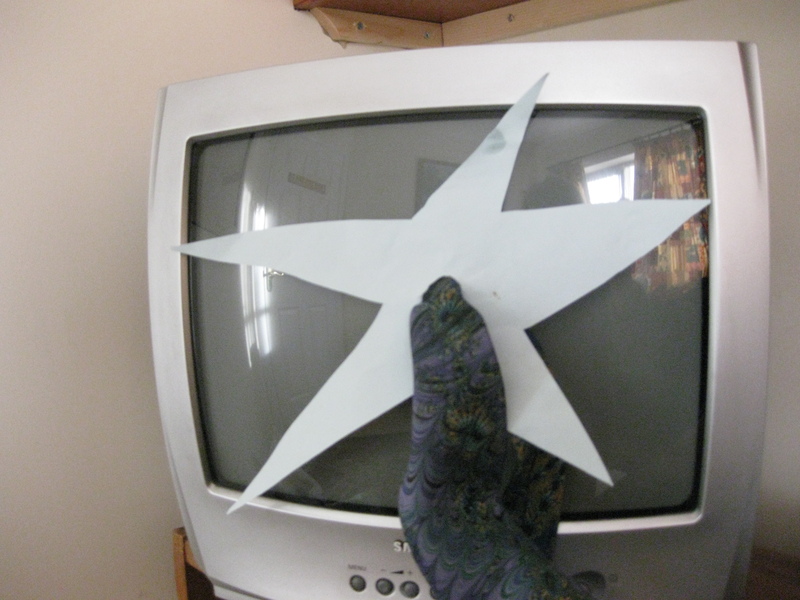 This entry was posted on Monday, February 28th, 2011 at 9:00 am by Daniel Weinbren	and is filed under Methods. You can follow any responses to this entry through the RSS 2.0 feed. You can leave a response, or trackback from your own site.